Without Masks 12/15/2013 Art Oncuba Magazine, Interview with curator Orlando Hernández. The von Christierson Collection, will be exhibited at the Museo Nacional de Bellas Artes in Havana 7/28/2017 Without Masks: "Following successful exhibitions at the Johannesburg Art Gallery in 2010 and the UBC Museum of Anthropology, Vancouver, in 2014, the Museo Nacional de Bellas Artes and the Watch Hill Foundation are pleased to announce that 149 Afro-Cuban art works by 38 Cuban artists of the von Christierson Collection, will be exhibited at the Museo Nacional de Bellas Artes in Havana, from July 28th to October 2nd, 2017." Legado africano en Bellas Artes 7/31/2017 Granma: "Como parte de la muestra, en los vestíbulos de las salas temporales del segundo y del tercer piso se exhiben ocho documentales de la realizadora de cine, investigadora, guionista y productora cubana, Gloria Rolando; así como una treintena de instantáneas del fotógrafo Roberto Salas." 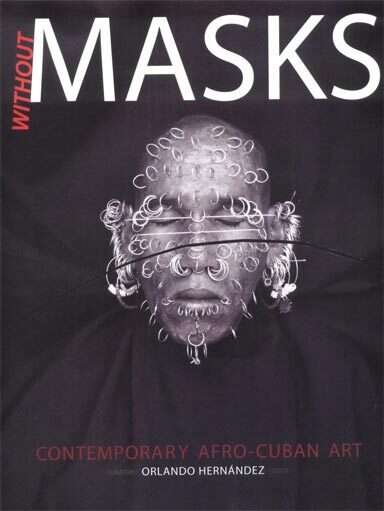 The Watch Hill Foundation is sponsoring an exhibit of their Without Masks: Contemporary Afro-Cuban Art, the von Christierson Collection (poster) at the Museum of Anthropology, University of British Colombia, Vancouver, Canada, from May 2 to November 2, 2014. A Rich, Layered Exploration of Race & Identity Revealed in Without Masks: Contemporary Afro-Cuban Art, Museum of Anthropology, University of British Colombia, 2/13/14. Press release. Without Masks… , Art Oncuba Magazine, Number 1, December 2013-february 2014: "regarding a collection of (Afro) Cuban art, by Nahela Hechavarría Pouymiró: An interview with the independent Cuban art critic and essayist Orlando Hernández, curator of Without Masks, The Von Christierson Collection of Contemporary Afro-Cuban Art." de Bellas Artes in Havana, from July 28th to October 2nd, 2017. Un curador 'sin máscaras' rescata el arte afrocubano 7/31/2017 14 y medio: "El crítico habló con Von Christierson de una manera directa y clara. "Como sudafricano blanco y rico, si quieres hacer una colección de arte cubano contemporáneo no debes olvidar la influencia de África en Cuba". El viajero acepto el reto de buena gana y se comprometió a que su colección privada tendría además un carácter público e itinerante." 'Sin Máscaras': indagando en las raíces africanas de Cuba a través del arte 7/30/2017 Expansion: "La exposición, disponible hasta el 2 de octubre, estará acompañada de conferencias impartidas por profesores estadounidenses como Robert Farris Thompson, quien presentará los resultados de sus investigaciones sobre el impacto espiritual que ha tenido lo afrocubano en Nueva York. También habrá charlas por parte de los artistas, dónde contarán su inspiración y explicarán sus obras. Y como valor añadido, el museo proyectará ocho documentales y expondrá hasta treinta instantáneas del fotógrafo cubanoamericano Roberto Salas." Las raíces africanas en Cuba en la obra de 40 artistas de la isla 7/29/2017 CyberCuba: "En esta colección hay dos líneas temáticas: las tradiciones culturales y religiosas de origen africano en la isla caribeña y los principales conflictos relacionados con la cuestión racial." Museo cubano inaugura exposición sobre influencias culturales africanas 7/28/2017 Cuba Debate: "El Museo Nacional de Bellas Artes de Cuba exhibe a partir de este viernes la muestra titulada Sin máscaras, arte afrocubano contemporáneo, con más de un centenar de obras de 40 artistas sobre la cultura de origen africano y su influencia en este país caribeño. Hasta el próximo 2 de octubre, la exposición mostrará dos grandes líneas temáticas: las tradiciones culturales y religiosas de origen africano en la nación antillana y los principales conflictos relacionados con la cuestión racial." Sin Máscaras: Arte Afrocubano Contemporáneo llega a La Habana 7/25/2017 Cuban Art News: "En 2010, mientras Sudáfrica se preparaba para albergar la Copa Mundial de fútbol, la Galería de Arte de Johanesburgo inauguró lo que fue descrito como “la más larga y diversa exhibición de arte afrocubano que se ha escenificado nunca en cualquier parte del mundo”. En su debut, Sin Máscaras: Arte Afrocubano Contemporáneo incluyó aproximadamente 80 obras de 26 artistas. Este viernes, 28 de julio, Sin Máscaras se inaugura en el Museo Nacional de Bellas Artes de La Habana. Esta vez, la exposición es casi el doble de tamaño, con cerca de 150 obras de 40 artistas." Without masks: Contemporary Afro-Cuban art 6/27/2014 Repeating Islands: "A review of the Cuban art exhibit at the Johannesburg Art Gallery, Joubert Park, in South Africa." The Georgia Straight proudly sponsors Without Masks: Contemporary Afro-Cuban Art 5/8/2014 Georgia Straight: "The exhibit reveals age-old cultural and religious Afro-Cuban traditions in contemporary art and features a diverse group of 31 Cuban contemporary artists. Two themes emerge in the exhibit: insight into contemporary Afro-Cuban cultural and religious traditions, and an intense dialogue on the complex racial issues affecting Cuba today." Afro-Cuban art exhibition exposes life Without Masks 5/6/2014 Georgia Straight: "Orlando Hernández, the Havana-based curator of Without Masks, tells a different story. Last week, as he toured media through the exhibition of contemporary Afro-Cuban art at UBC’s Museum of Anthropology, he told us that what should indeed be a post-revolutionary state of social, cultural, and ethnic equality is not a reality in Cuba—that it is a “mask”. Especially since the island nation’s economic collapse in the 1990s, he said, Cubans of African descent have experienced prejudice, discrimination, and poverty. Without Masks, organized from the von Christierson collection of Afro-Cuban art, seeks to redress our mistaken perceptions, to strip away the pretence and convey the actuality of Afro-Cuban existence." Sin Máscaras Arte Afro- Cubano Contemporáneo. The von Christierson Collection 5/2/2014 Belkis Ayon: "Del 2 de mayo hasta 2 de noviembre del pasado año 2014, el Museum of Anthropology (MOA), de la University of British Columbia, Vancuover, Canadá, acogió la muestra: Without Masks: Contemporary Afrocuban Art, The von Christierson Collection." Without Masks: Contemporary Afro-Cuban Art unmasks complexities of racism and religion in Cuba (with Video) 5/2/2014 Vancouver Sun: "Without Masks doesn’t follow any of those rules. Instead, the works in the group show are arranged according to a different system. They’re displayed according to the age of the artist, starting with those who have died and then oldest to youngest. The works have been displayed in such an unusual way because that’s the respectful approach toward elders in Palo Monte, Santeria, Ifá and Abakuá — four of the unique religions brought to Cuba by Africans." Without Masks 12/15/2013 Art Oncuba Magazine: Number 1, December 2013-february 2014: "regarding a collection of (Afro) Cuban art, by Nahela Hechavarría Pouymiró: An interview with the independent Cuban art critic and essayist Orlando Hernández, curator of Without Masks, The Von Christierson Collection of Contemporary Afro-Cuban Art." Sin máscaras… acerca de una colección de arte (afro)cubano 12/8/2013 Art On Cuba: "Entrevista al crítico y ensayista Orlando Hernández." Art explores Cuba's heritage 5/24/2010 Joburg: "According to the City, the exhibition will focus on Cuba's African heritage, exploring the two major themes of race and religion within contemporary Cuban society and the practices which thrive today that were brought to the Caribbean island from west and central Africa by slaves. "The exhibition will give South Africans the opportunity to engage with the issues it raises," it said." 'There is more to Africa than its masks' 5/21/2010 Mail & Guardian, South Africa: "Doesn't Cuba pride itself on being a classless society, theoretically at least? In what way is racism an issue in Cuba? Cuba is a society where there is really still a lot of racism, but the issue has been silenced in society. People in power say: "We don't have racism because we are an egalitarian society." But this is not the opinion of many black and mulatto people in Cuba who feel that the issue of race still needs to be discussed. They feel discriminated against by light-skinned Cubans…. It's important to educate the people about our different sources in society. We do not have only Spanish and Indian roots." Journey of darkness and light 5/21/2010 Mail & Guardian, South Africa: "In 2007 South African-born businessman Chris von Christierson approached Hernández to compose a collection of Cuban art for him. Given carte blanche, Hernández chose to curate this collection according to the theme of Afro-Cuban identity, a subject he felt would be of relevance to the Christiersons, having come from the heel of Africa." The exhibition is curated by renowned Cuban curator, Orlando Hernández. Participating artists include: Belkis Ayon Manso, Ricardo Rodriguez Olazabal, Rene Pena, Marta Maria Perez Bravo, Maria Magdalena Campos-Pons, Carlos Caraicoa Manso, Manuel Mendive, Elio Rodríguez, Douglas Pérez, Armando Mariño, and Roberto Diago, and Yoan Capote. SOUTH AFRICA, May 26TH, 2010 - The first exhibition of contemporary Afrocuban Art was opened this week at the Johannesburg Art Gallery with the attendance of the Deputy Minister of Arts and Culture, Honourable Mr. Paul Mashatile, and the Mayor of the City of Johannesburg, Councilor Amos Masondo. The exhibition includes 80 paintings, photos and other artworks of 26 Cuban artists. The opening coincided with the celebrations in the city of Johannesburg for the Africa Day. To this memorable occasion traveled to South Africa six Cuban artists: Jesús Peña, Roberto Diago, José Bedia, Carlos Gairacoa, Douglas Pérez Castro, Elio Rodríguez and the curator, Orlando Hernández.